Moving up or down a weight class? Switching positions within your sport? Competing in a new league or level? Are you big enough, quick enough, and strong enough? 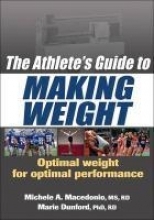 Elite athletes understand the impact that body weight and composition have on performance. Gain too much, and lose that all-important first step. Drop too much, and risk being overpowered.